Raymond Clarence Ewry, a descendant of Tippecanoe pioneers, was born and reared in the Lafayette area. Ewry contracted polio as a child and was told he would be disabled for the remainder of his life. Through sheer persistence and leg strengthening jumping exercises, he overcome his handicap and developed into an outstanding track athlete. He enrolled in mechanical engineering at Purdue University and received his bachelor of science degree in 1897. In his senior year he was captain of the track team. As a Purdue student, Ewry lived at 78 South Second Street and later at 107 South Second. 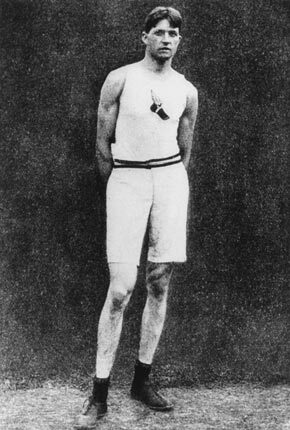 Ewry's claim to athletic immortality occurred in the Olympic jumping events. The Guiness Book of World Records recognizes Ewry as having won the most individual gold medals in the modern Olympic Games. Presented as an inspiration to the youth of Lafayette by W. Kelly Carr, D.D.S. under the sponsorship of the Tippecanoe County Historical Association. 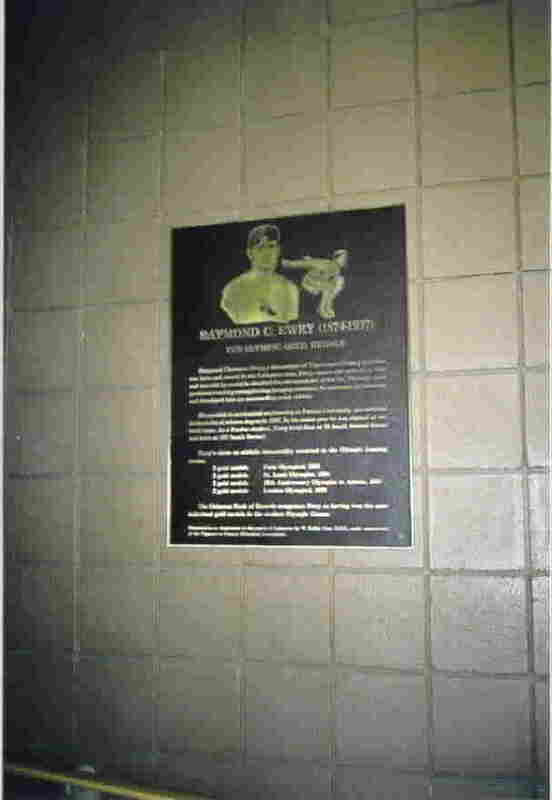 Marker is located in the Southside Community Center, Fourth and Fountain Streets in Lafayette.